Difficult neighbors | Real in L.A. When I was little, our Christmas tree was decorated with an eclectic set of objects, from my teething ring to an angel with silver wings resting on a glittered silver globe. (The latter was referred to as the “Carson, Pierre, Scott angel” because that’s where it was purchased one Chicago Christmas. 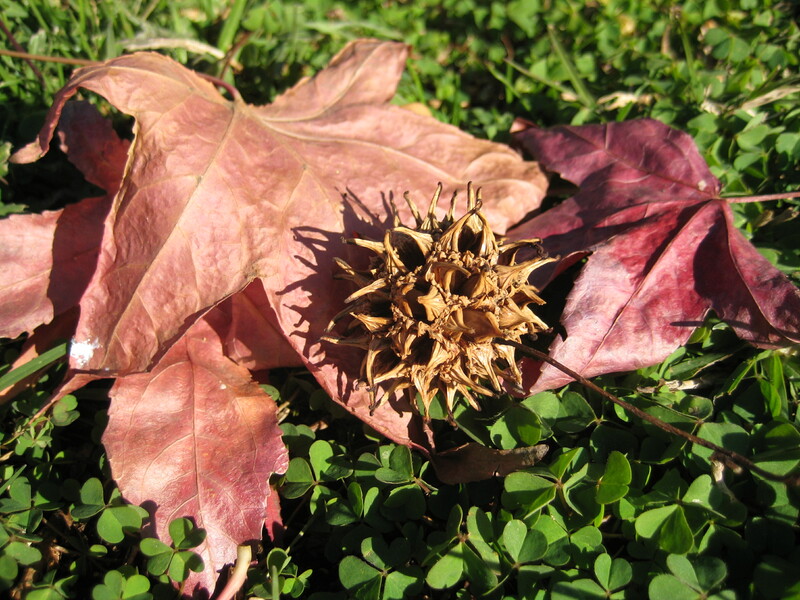 One cluster of decorations were simple sweet gum tree seed pods –prickly, brown balls about an inch in diameter–painted silver. They were hung from the Christmas tree with thin, red, satin ribbon. 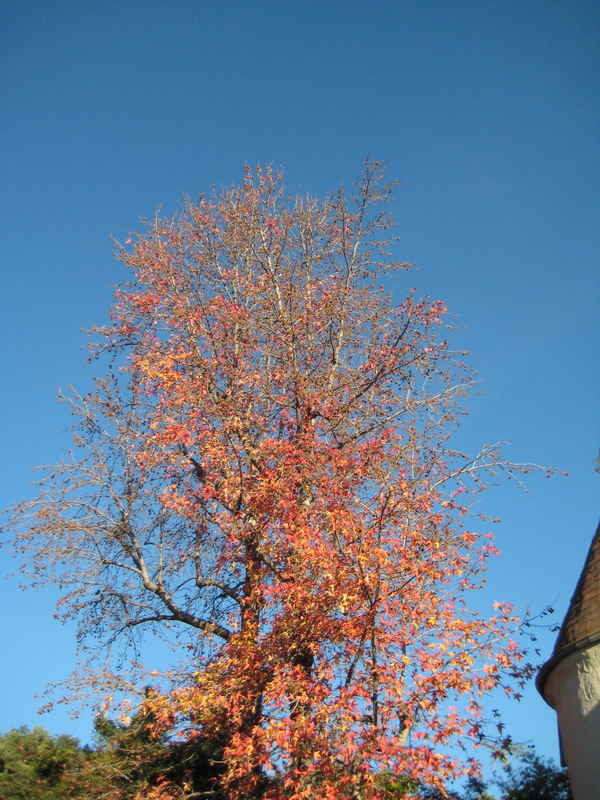 Eighteen years ago I moved next door to a house with three sweet gum trees in the front yard. Each fall, when the leaves turn red and seed pods scatter across the lawn, they evoke nostalgia for Christmases past that is tempered by the knowledge that those holidays were emotionally more complex than I want to remember. You are currently reading Difficult neighbors at Real in L.A..